Hello! 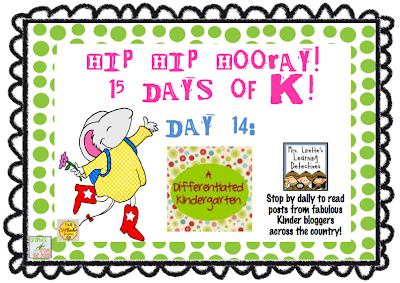 My name is Marsha McGuire from A Differentiated Kindergarten and I'm so psyched that Mary invited me to join her 15 Days of K Celebration. 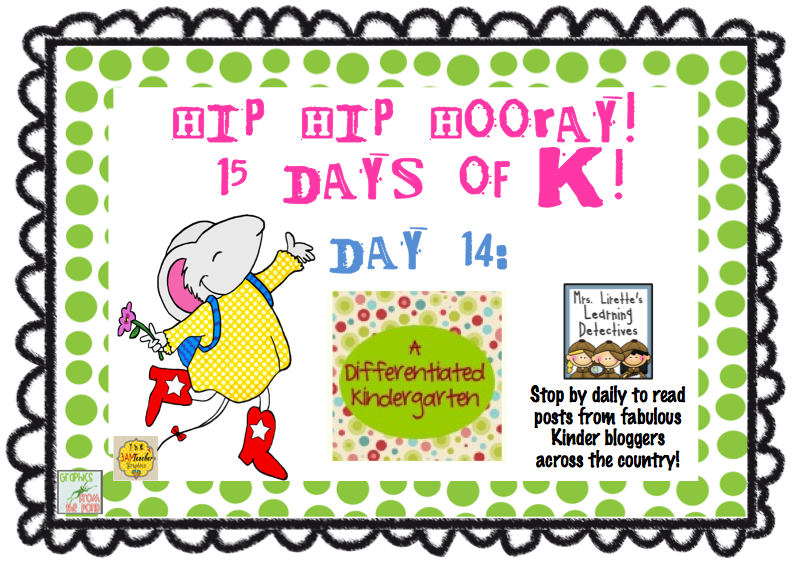 This is Day 14 and, boy, have there been some amazing teacher bloggers on here or what? 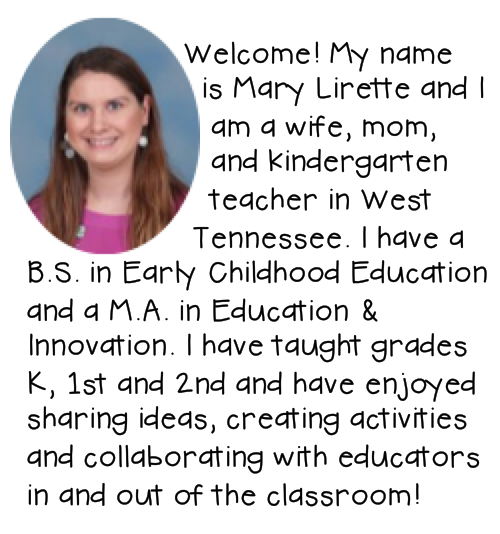 It is great fun to learn from other kinder teachers, and I'm so happy that Mary is returning to this amazing grade level. A bit about me, in case you haven't visited my blog . . . I am a kindergarten teacher and avid student of differentiated instruction. 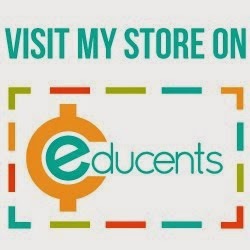 While I am by no means an expert on the subject, I'm constantly looking for new and more effective techniques to implement in order to meet the needs of students in my kindergarten class. Differentiated instruction is kind of a HUGE undertaking so I think anyone who is 'implementing' it is never really 'THERE.' You're always looking for new and better ways to make it work. I know what you might be thinking. "Seriously? 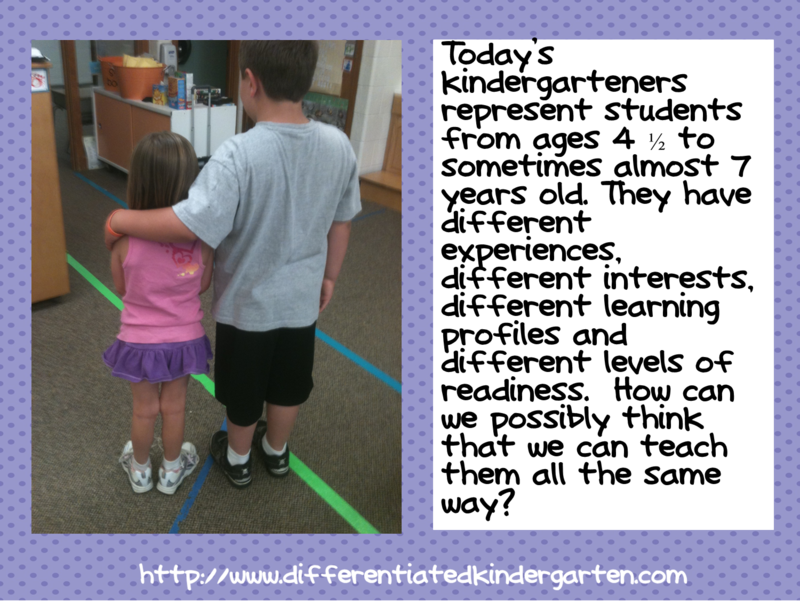 Differentiated instruction in kindergarten? Please! You can't possible think that they are ready? They can barely sit still for 3 minutes. How in the world is a classroom of 25-30 four to almost seven year olds, at different readiness levels, and with different interests AND different learning profiles going to complete different tasks all at the same time?" Hey! I get it. I know it seems impossible, but I'm here to tell you. It's not! You just need to start out slow and choose one or two things to get you started in the right direction. An easy way to start out is to think about differentiation as a way to respond to your students interests, their learning profile or their level of readiness. I think of INTEREST as the thing we use to HOOK our students. But when we know very little about them before they walk through our doors in the fall, this can be a tricky task. 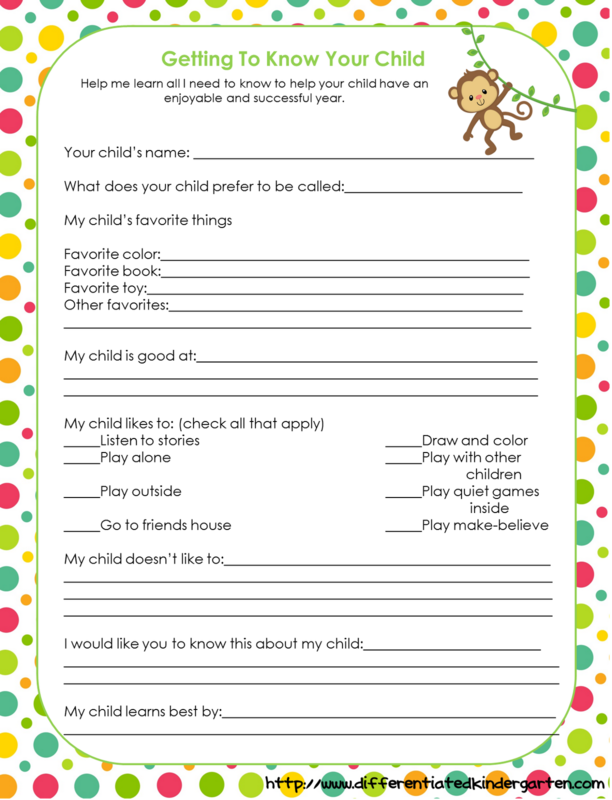 In order to give myself a head start, I have parents fill out an interest inventory for their child BEFORE they arrive in my class. Mine looks something like this, but you can really make it whatever you want. 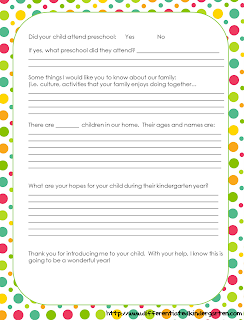 You’re welcome to use my copy if you’d like, just CLICK HERE to download it and have it ready for parents to complete at your open house or send it to their home before school begins in the fall. By using this, and spending a lot of time those first couple of weeks chatting it up with my kinders, I get a pretty good idea of what themes or activities are going to pull them into my instruction. Purposefully considering this information when it comes time for instruction and activities is just one simple way to start differentiating. 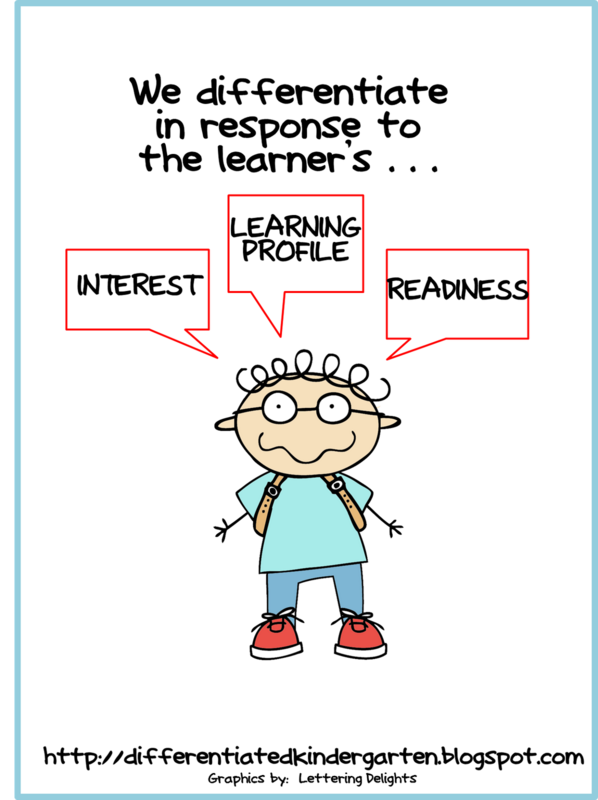 The next way to differentiate is in response to learning profiles. This, of course, is not only the way a student learns best but also how they represent what the know. It includes learning styles and Gardner’s Eight Intelligences. I know we all KNOW these, but do you really consider them when you are planning? 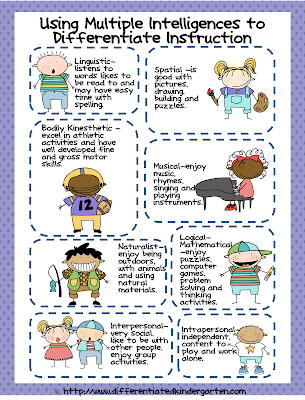 One of the struggles with children at this age is that often they have not even been exposed to many of these intelligences, so it is our job to give them opportunities to explore and experience these different areas. I like to keep this visual chart in my planner to use when planning my learning centers. For me, your learning center is the easiest place to include activities that reflect the intelligences and to offer time for exploration of them. 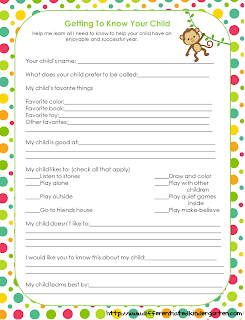 Click the picture above to collect it and find other resources that you might find helpful. 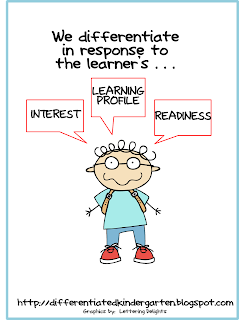 Finally, we differentiate in response to readiness-not ability but the ‘starting point’ of a student in regards to a skill or concept that needs to be mastered. This is probably the hardest part of differentiated instruction for teachers to tackle. 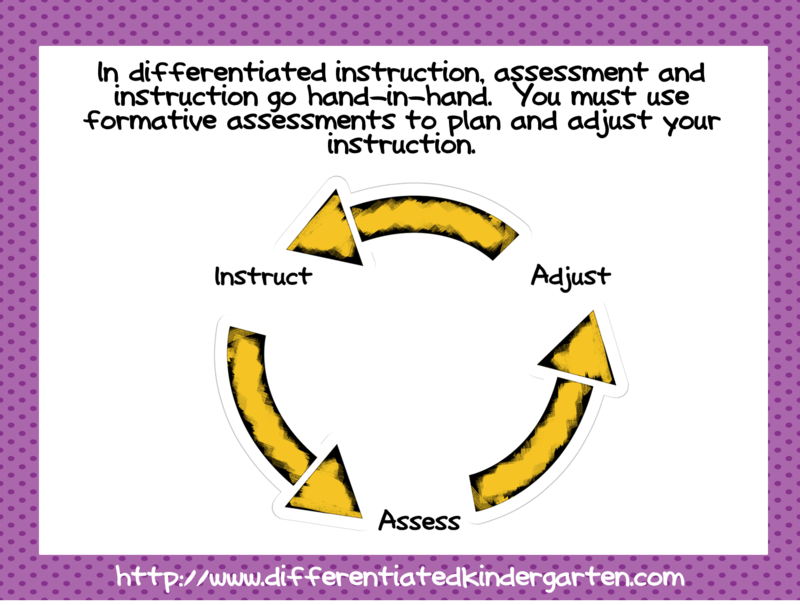 Differentiated instruction is really based on ongoing formative assessment. You need to know where your students are in regards to mastering a concept at any given time and be able to provide them with meaningful activities in response to that level and continually adjust your instruction based on what you discover in your assessments. That doesn’t mean you have to group all your high medium and low students together in ability groups. Actually, you could have three different students of various levels of readiness all working on a same task at the same time. 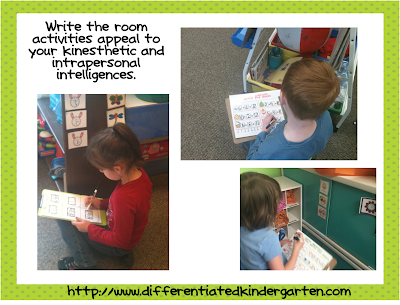 I love write the room activities because they appeal to my kinesthetic learners which are a majority of my kinders. It is usually one of the first activities that I teach my students to do. They collect a clipboard (one of my most favorite tools for differentiating), a dry erase marker and a response sheet that reflects their readiness level. I can have three to four students writing the room at the same time, but because they have different response sheets that focus on their readiness level, it’s differentiated. Everyone is doing a meaningful activity, it is equally engaging and, because it’s at their level, everyone gets to feel success. BONUS! So what does it look like? Well, of course, I have a little something to get you started and help you out. I hope you'll give differentiating a try. 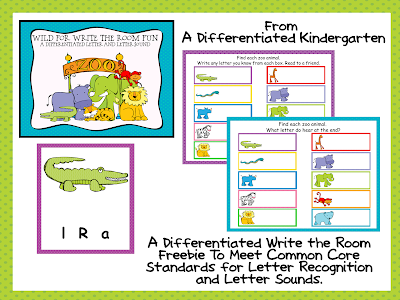 And if you'd like to see more write the room and other differentiated activities, just come on over to A Differentiated Kindergarten and check out my blog. Please drop me a line and let me know how it goes. Thanks again to Mary for letting me come and share! Need to revisit Day 1-13? Click on the picture below. 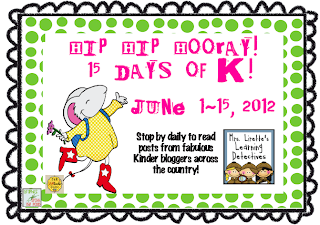 Stop back by tomorrow for our very LAST day of the 15 Days of K Celebration! Marsha, you have outdone yourself! Your insight into differentiation are invaluable. And, I love the write the room activity. Thanks for such great information! Wow Marsha, as an ESL Resource Teacher/Specialist I helped so many teachers of all grades differentiate their instruction for my ESL students. 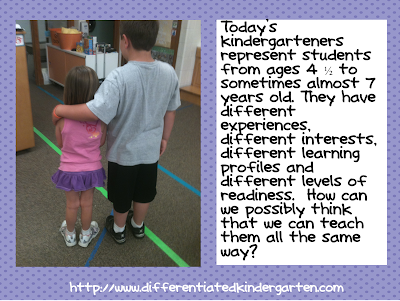 There are so many meaningful differences at the Kindergarten level. Your kinders are sooo lucky to have you as their teacher!!! Marsha this was great. So true that when we get new students at the beginning of the year that they come in with different experience and it is so important to differentiate their instruction. Love the write the room. It is always a favorite of my students too. Marsha this was amazing!! I love the picture of the tiny little girl and the tall boy. I try to explain this to everyone, but a visual is perfect! Marsha this is fantastic! Thank you for touching on such an important topic. The freebies are amazing, the parent survey is phenomenal. I cannot wait to check out your blog! Hello! 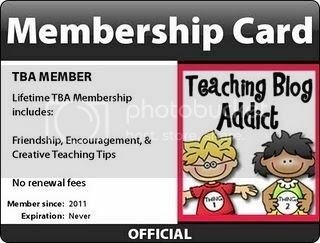 I just found your blog thanks to Kinder Kraziness and I'm your newest follower. I'm looking forward to reading it! 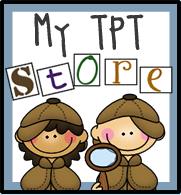 You are invited to visit my blog: Teaching Kindergarten Kiddos. Thank you for sharing such a thought provoking post. I know I try to differentiate, but am still working on it. You inspire me to continue to grow. <3 the read the write the room! Thank you! Wow! Thanks for all your kind words everyone. 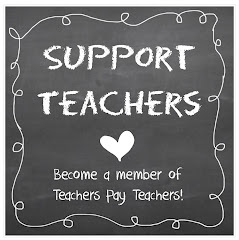 It is my pleasure to work with such a fine group of kindergarten teachers in the blogging world. We all have so much to share. I'm just glad I can contribute a bit back to other teachers. Wow, awesome information! I am your newest follower! What a great freebie! Thanks for sharing!